The purpose of the mop is to clean the surfaces, mainly floors. The aim of the mop is mainly to rid dust, mud, liquid stains, excess water on floor and other household maintenance activities. There are two types of mop. One is dry mop (also called dust mops), and the other one is a wet mops. My personal Experience I share about Milton Elite Spin Mop but also mention some best rating mop in a market. Elite spin comes with a microfiber refill which has the capacity to absorb 3 times more liquid than normal cotton and is more durable. A user gets 1 additional free refill with this product. 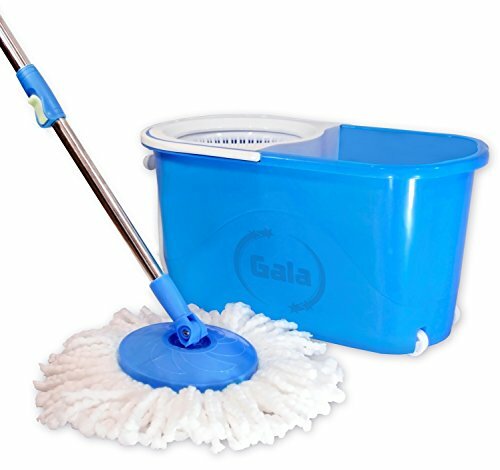 The Handle of the mopp is durable and long lasting. 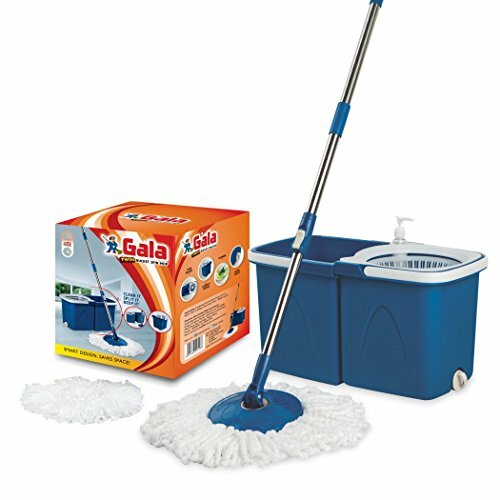 The uniqueness of the product is the Bigger Wheels attached to the bucket of the which makes moving the mopp very easily. Elite Spin is the only mop in its category which carries 1 Year Manufacturer Warranty. Elite Spin handle is very sturdy and long lasting. The mop is 360 Degree movable and can perform a deep cleaning. Bucket of the Spin is divided into 2 section for separate wringing and cleaning operation. 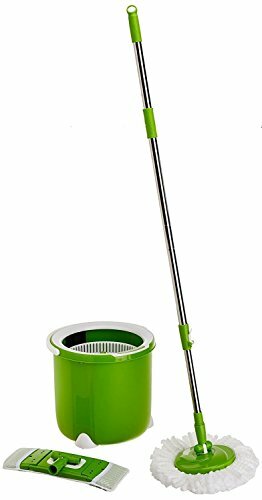 The Elite Spin comes with an auto fold Handle to lift and move the bucket easily and a water outlet to remove dirty water. Please spin the mob handle when in unlock status so avoid usage concerns. Keep your home or office squeaky clean with Milton’s Spitzer Elite Spin Mop. The microfiber cloth has superior water absorbency and additionally, it is non-abrasive and lint-free. The mop covers a large surface area effortlessly and the 360 degree mop handle makes it easy for you to reach the corners of your room. Since the Elite Spin is equipped with large wheels, it can be easily pulled around without much effort which reduces physical exertion. This spin mopp set comes with a microfiber cloth which is non-abrasive and lint-free. Additionally, the spin mop set comes with a refill of the microfiber head for easy replacement when the existing mop head wears out. 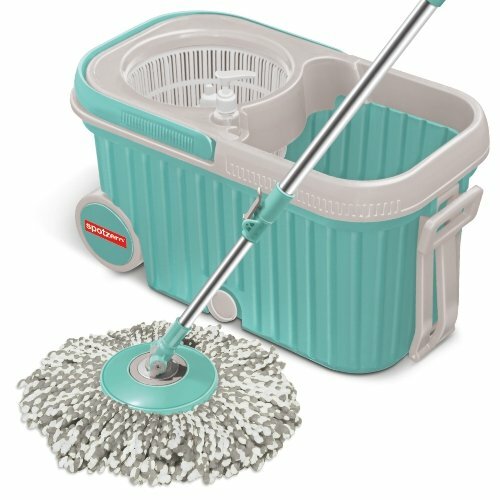 This Spotzero Elite Spin from Milton comes with a twin bucket system – one of which can be used for drying the mopp., the other can be used to dip the mop into soap water. Additionally, the set has a water outlet which drains out dirty water. 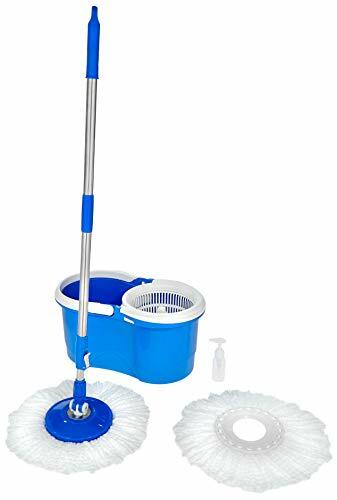 Clean your house in a hassle-free manner with this spin mop system that comes with a 360 degree mop that rotates to enable you to reach the farthest corners of the room, underneath your furniture and all the other tricky areas. 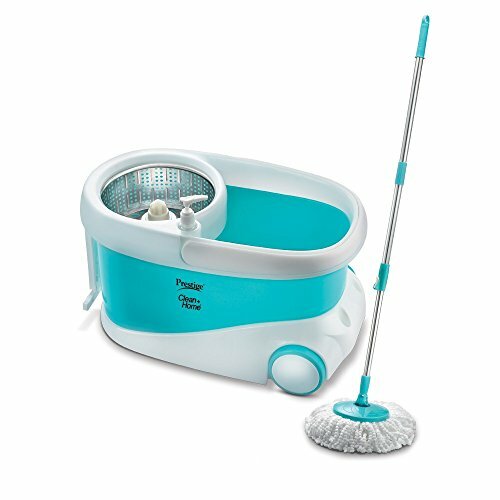 This spin mop bucket is equipped with big wheels that make the portability of this set an easy task. Embrace cleanliness and stay in a hygienic environment with this Spotzero spin mop set from Milton. This Spotzero spin comes with an extendable mop handle which lets you adjust the height of your mop according to your requirements. You will not need to bend and strain your back with this ergonomically designed mop handle. 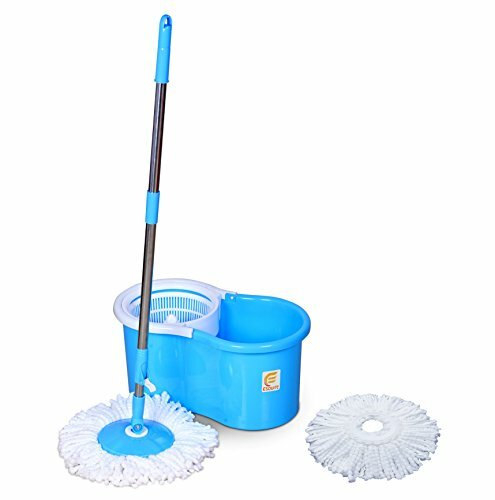 The mop handle of this spin mop set comes with a handle lock system which locks the height of the handle securely in place. Clean your house or office space comfortably with this user-friendly spin mop set from Milton.